I do not do this every Monday, but every now and then someone catches my eye over the weekend. I re-watched the 2017 Power Rangers movie and damn. 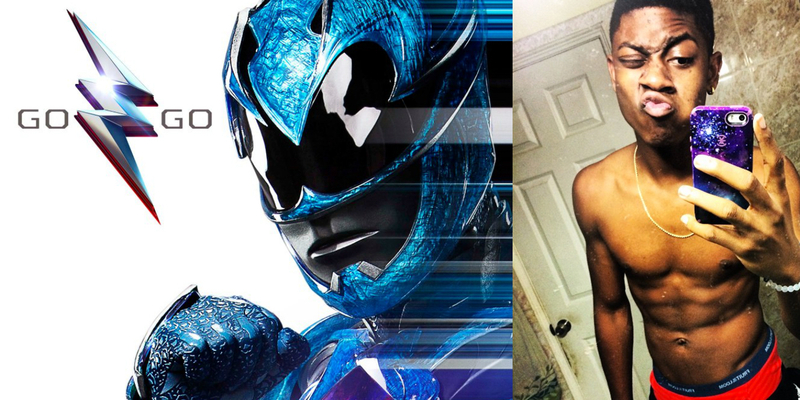 RJ Cyler’s Billy Cranston is awesome. He is the heart of the team and I really loved his portrayal of the Blue Ranger. His character is on the autism spectrum and he did his character wonderfully. Seeing him outside of his role, holy hell is he hot! He also seems very playful on his social media sites. I just started to watch the Netflix movie War Machine just because he is in it as Tech Sgt. Andy Moon. Not a huge role, but he’s in it. And I’m keeping my fingers crossed that there is no issue with a Power Rangers sequel. Iceman and Blue Ranger - Check out this Art from RageGearStudios! He’s definitely the cutest ranger in the movie hands down. I love him so much!